In addition to his legitimate son (Napoleon II, who appears in Napoleon in America), Napoleon had two stepchildren and at least two illegitimate children: the wastrel Charles Léon Denuelle and the accomplished Alexandre Colonna Walewski. Here’s a look at Napoleon’s illegitimate children. Eléonore’s liaison with Napoleon ended shortly after Léon’s birth. In 1808 Napoleon arranged for her to marry an infantry lieutenant. He was killed during the Russian campaign in 1812. In 1814, she married Charles de Luxbourg, a Bavarian diplomat. Once Napoleon’s legitimate son, the King of Rome, was born, Léon received much less attention, though Napoleon continued to provide for the boy and remained fond of him. In March 1812, the Baron des Mauvières – the father-in-law of Napoleon’s private secretary, Baron de Méneval – was appointed Léon’s guardian. This provided a discreet way for Napoleon to manage the funds he was settling on the boy. In June 1815, after Napoleon’s defeat at the Battle of Waterloo and subsequent abdication, eight-year-old Léon (with Méneval) joined Napoleon at Malmaison before the latter’s departure for Rochefort and exile to St. Helena. Léon attended a succession of Parisian boarding schools, with the expectation that he might have a legal career. In his instructions to the executors of his will, Napoleon wrote, “I should not be sorry were little Léon to enter the magistracy, if that is to his liking.” (3) Napoleon also bequeathed 300,000 francs to Léon, for purchase of an estate. This legacy did not immediately happen, as the amount was to be taken from money Napoleon claimed was due to him from the “gratitude and sense of honour” of his stepson Eugène de Beauharnais and his widow Marie Louise. Neither of them came up with the funds, despite a lawsuit by Napoleon’s executor Charles de Montholon. In 1821, Méneval assumed Léon’s guardianship. This soon became a headache for him, as it had been for his father-in-law, not least because Léon’s taste for luxury and pleasure far exceeded his pocket money of 12,000 francs a year. Méneval hired a tutor, whom Léon disliked. In January 1823, Léon escaped from his tutor while at the theatre and fled to Mannheim, in Baden, where Eléonore and her husband were living. By 1826, Léon was back in Paris and living on his own. With his imperial visage, his large income, and his taste for pleasure, Léon cut a conspicuous figure. In February 1832, after losing 16,000 francs in a card game and failing to pay up, Léon fought a duel in the Bois de Vincennes against Charles Hesse, a Prussian-born British officer. Though Hesse fired first, Léon’s shot struck Hesse in the chest and killed him. Léon was charged with deliberate manslaughter. A jury acquitted him. This experience did not deter Léon from gambling. After a brief, undistinguished stint in the National Guard, by 1838 he had wound up (twice) in the debtors’ prison of Clichy. A police report of January 1840 described his living arrangements. Joseph decided not to receive Léon based, among other things, on a rumour that Léon was a spy in the pay of King Louis Philippe’s government. Léon’s cousin, Louis Napoleon (son of Napoleon’s brother Louis) also refused to see him. Léon provoked Louis Napoleon into fighting a duel on Wimbledon Common, which was called off only when the police arrived. Léon returned to France, where he survived by begging, borrowing and pursuing lawsuits, including two against his mother. In 1849, Léon founded the Société Pacifique, the object of which was “to organize a series of productive works that may provide the French People with the means of living by the labour of their hands.” (10) He unsuccessfully petitioned the National Assembly for one million francs to support the scheme, which proposed such things as the installation of economical kitchens. When Louis Napoleon became Napoleon III of France, he refused to see Léon. He did, however, in 1854 decree that the dispositions in Napoleon’s will should be carried out. Léon was given a yearly income of 10,000 francs. Among other things, Léon opened an ink manufactory. 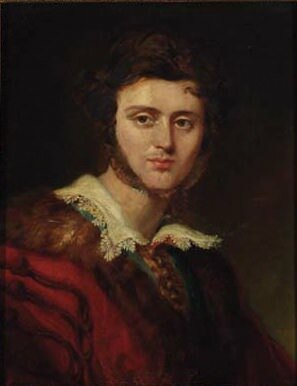 He also milked his half-brother Alexandre Walewski (see below) for funds. On June 2, 1862, Léon, at the age of 55, married 31-year-old Françoise Fanny Jonet, the daughter of his former gardener. Four of their children lived past infancy: Charles (born Oct. 24, 1855), Gaston (June 1, 1857), Fernand (Nov. 26, 1861) and Charlotte (Jan. 17, 1867). The family settled at Pontoise, northwest of Paris. Léon died there on April 14, 1881, at the age of 74, of stomach or bowel cancer. He was buried in a pauper’s grave in the local cemetery, marked with a black wooden cross. His remains were later dug up to make room for others. Charles Léon Denuelle has living descendants. In 1810, Marie and the baby moved to Paris. Napoleon installed them in a house and provided for them, though he ended his affair with Marie in view of his impending marriage to Marie Louise. Along with Méneval and Léon, Marie and Alexandre joined Napoleon for a final farewell at Malmaison in June 1815. In 1816, Marie married her lover, the Count d’Ornano. The following year, when Alexandre was seven, she died. The boy’s uncle ensured that he received a good education. On December 1, 1831, Alexandre married Lady Catherine Montagu, the daughter of the 6th Earl of Sandwich. They had two children: Louise-Marie (born Dec. 14, 1832) and Georges-Edouard (Mar. 7, 1834), both of whom died in infancy. Catherine died shortly after her son’s birth, in April 1834. Back in France, Alexandre became a naturalized French citizen and joined the French army. He fought in Algeria as a captain in the French Foreign Legion, resigning his commission in 1837 to become a journalist, playwright and diplomat. On November 3, 1840, Alexandre had a son, Alexandre-Antoine, with French actress Elisabeth Rachel Félix, who also had a son with Arthur Bertrand. On June 4, 1846, Alexandre married Maria Anna di Ricci, the daughter of an Italian count. They had four children: Isabel (b. May 12, 1847, died in infancy), Charles (June 4, 1848), Elise (Dec. 15, 1849) and Eugénie (Mar. 30, 1856). After his cousin Louis Napoleon came to power, Alexandre served as a French diplomat in Italy, and then as French ambassador to London. He arranged for Napoleon III to visit London in 1855, and for Queen Victoria to make a return visit to France. In 1855, Alexandre became France’s Minister of Foreign Affairs and, in 1860, the French Minister of State. He also served as a senator and, later, as president of the Corps Législatif. In 1866, he was named a Duke of the Empire. Alexandre Walewski died of a stroke or a heart attack at Strasbourg on September 27, 1868, at the age of 58. He is buried at Père Lachaise Cemetery in Paris. Alexandre Colonna Walewksi has numerous living descendants. You can read more about Alexandre and his family on the Colonna Walewksi family website. This has not stopped speculation that Napoleon had other illegitimate children. Émilie de Pallapra claimed that she was Napoleon’s daughter, resulting from a brief liaison in Lyon between her mother Françoise Marie de Pellapra and the Emperor. However, the alleged timing of their tryst is incompatible with Émilie’s birth date in November 1805. As noted in my post about Charles de Montholon, Napoleon was probably the father of Albine de Montholon’s daughter Joséphine Napoléone, born on St. Helena on January 26, 1818. Little Joséphine died in Brussels on September 30, 1819. For more fanciful speculation about Napoleon’s illegitimate children, see Chapter 13 of The Bonapartes in America, by Clarence Edward Macartney and Gordon Dorrance. Joseph Turquan, The Love Affairs of Napoleon (New York, 1909), p. 249. Louis Constant Wairy, Memoirs of Constant, translated by Elizabeth Gilbert Martin, Vol. II (New York, 1907), pp. 157-158. Hector Fleischmann, An Unknown Son of Napoleon (New York, 1914), p. 88. The Love Affairs of Napoleon, p. 249. Memoirs of Constant, Vol. II, p. 183. Christopher Hibbert, Napoleon: His Wives and Women (London, 2002), p. 222. 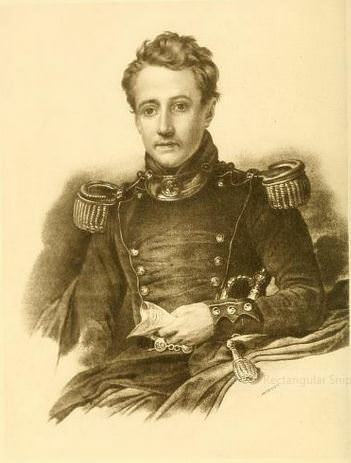 An Unknown Son of Napoleon, p. 88. Charles C.F. Greville, The Greville Memoirs, Vol. II (London, 1874), p. 104. Memoirs of Constant, Vol. II, p. 158. An absolutely wonderful article this week – truly fascinating, thank you. A duel on Wimbledon Common! how exciting – I used to walk my dog on Wimbledon Common and Putney Heath regularly but by then the age of duels was long over! Superb blogs, please keep them coming. Thank you, Lally. So glad you enjoyed the article. I once had the good fortune of going for a lovely stroll with friends on Wimbledon Common. It’s fascinating to think of all the duels that happened (or, in this case, nearly happened) there. Is there any proof of Leon Denuelle’s descendancy? There are different statements about that in the books. As concerns Marie Walewska’s “memoirs”, they tend to describe her as the “victim” of her patriotism and of the manipulations of others. She writes nothing about her real relationship with Napoleon – and that is not quite honest or fair. One descendant of her marriage with d’Ornano wrote a voluminous book about her affair with Napoleon, which was questioned by a famous French historian in the nineteen fifties. It all ended up in court and the avowal by d’Ornano that he faked a lot of it. Unfortunately, this book is still quoted by a lot of historians – mainly French, although they ought to know better. Thanks for your comments, Irene. Léon was (and still is) generally acknowledged as being Napoleon’s son. I don’t know whether DNA tests have been done on his descendants to confirm their relationship to the Bonapartes. As for the real relationship between Marie Walewska and Napoleon, the only ones who could comment with certainty on that are Marie and Napoleon themselves, and they both doctored their memoirs for public consumption. I wasn’t aware of the book by Marie’s and d’Ornano’s descendant. Thanks for alerting me about it. The book by d’Ornano is well used and was criticised by a well known French historian named Jean Savant. There is even a book about their court squabbles called “L’affaire Marie Walewska”, if I remember correctly. D’Ornanos book was translated into English at one time, called “The life and loves of Marie Walewska”, once again if I remember correctly. There is a biography about ALEXANDRE WALEWSKI by Francoise de Bernardy once again. She wrote a lot of very good books about personalities of this period. Concerning Marie and Napoleon, we have a host of comments on their relationship by others who were in a position to know. Napoleon himself was not given to reveal a lot about his emotions for women. The best biography of Marie Walewska to date is considered to be the book by Christine Sutherland, a Polish born now British author, who had access to a lot of Polish archives, knowing the language. The story is still popular in Poland. Sutherland’s book was translated into several languages. Thanks, Irene, for these great sources about Marie and Alexandre. I had always thought that Napoleon had no living descendants today. It is fascinating to find that he most likely does. Yes, it’s really interesting, especially as the legitimate Bonapartes — none of whom are Napoleon’s direct descendants — tend to get more public and media attention. It was nice that the Hermitage Museum in Amsterdam chose the current Count Alexandre Colonna-Walewski (Napoleon’s descendant) to open its exhibit about Tsar Alexander, Napoleon and Josephine (see: http://russia-insider.com/en/story-friendship-war-and-art/5318). Thanks, Pier. I’m glad you enjoyed the article. I enjoyed your very interesting article, which I came across by chance. I am 64 years old and all my aged relatives who would have more information have all sadly passed away. However, I have always been brought up with an old family story, (which may or may not have any truth, although I have no doubt of it being fabricated for any gain) that my great great grandfather claimed he was the son of Napoleon. The story is rather vague, but interesting. My great great grandfather sailed as a young man away from France, his country of birth (I think he may have fallen out of favour with his family) and landed in Rangoon, Burma where he settled and married a young Burmese girl (my great great grandmother). They had a number of children, all girls, one of whom was named Eugine, who later became my grandmother. He visited the King and Queen of Burma and was known as a French aristocrat by the Burmese people. His name was Ferdinand (Fernand?) de Vera. He was known to be very wealthy and had a great patriotic attachment to France, although he was sadly never to return home. I am not sure whether or not there is any validation to this story, and in a way it has not real importance to my life, although the story has always persisted in my family’s history and it would be nice to have some verification of it simply for interest sake. I have never ever before persued anything like this before, and I am sure you must have hundreds of replies like mine, but I am sure you’d be interested to know how far the line of heritage can extend! Thank you for writing, Marie. It’s lovely to hear from you, and to learn of possibly another one of Napoleon’s illegitimate children. I’ve not come across a reference to your great great grandfather in any of the accounts I’ve read. Perhaps another Napoleonic reader has, and will leave a comment. It would be something if Napoleon had Burmese descendants! I, too, am supposed to be a descendant of Napoleon. I can’t remember the name of the son at the moment. I read an autobiography of a relative that stated that her husband was a grandson of Napoleon’s and they had the papers to prove it. I have found census records of the supposed son with his mother while living in England. She is married to someone, but the son is listed as a stepson. I will have to go to my ancestry site and get the names and details. The lady that wrote the autobiography was quite famous during her time, as a musician, and writer. I found and borrowed the very old book of her autobiography from the Brooklyn library and read the statement for myself. I went and looked for the names. The son would have been Louis Diehl. The grandson would have been Louis Ludwig Diehl. It was Louis Ludwig’s wife, Alice Mangold, who wrote in her autobiography that her husband was the grandson of Napoleon with the papers to prove it. I just noticed another ancestry tree that says the mother of Louis, mistress of Napoleon, was Josephine De La Pagerie Tascher. Thanks, Candice. This is interesting. I’d never heard of Louis Diehl before, but I’ve now searched and found Alice Mangold’s autobiography, where — as you say — she writes of her husband Louis Ludwig Diehl that “his mother had been a German actress of the greatest beauty…. His father had been, as documents in my possession prove, one of the natural sons of Napoleon the First.” (p. 196) If that is the case, Louis Ludwig’s grandmother would not have been Josephine Tascher de La Pagerie. Josephine was Napoleon’s first wife. She had only two children (Eugène and Hortense), and those were with her first husband, Alexandre de Beauharnais. Josephine was unable to have any children with Napoleon, which is why he ended their marriage. I haven’t been able to find any other reference to Napoleon having a illegitimate son named Louis Diehl. It would be interesting to see what’s in those documents that Alice Mangold refers to, if anyone in the family still has them. I guess I didn’t think too much about the Josephine link, I just wrote what someone else had written on there ancestry.com family tree. You are correct, it couldn’t have been her. It would be interesting to see those documents, but I don’t think anyone still has them as far as I know. That’s too bad about the documents. Maybe someone reading this thread will know more about who Louis Diehl’s mother might have been. Napoleon III’s father was Louis Bonaparte, Napoleon I’s brother and King of the Netherlands. He had been married to Hortense de Beauharnais, Napoleon’s step-daughter (Josephine’s daughter from her first marriage), and neither was happy with the match – Louis was jealous, cold, and Hortense was prone to depressive episodes. The couple often spent large swathes of time apart from each other. Hortense was known for her infidelities, as a result. At the probable time of their second son’s conception (Napoleon III had an elder brother, Napoleon-Louis who died fighting with revolutionaries in Italy in the Carbonari rebellions), Hortense and Louis were in different countries – except for one day, which supporters of Napoleon III claim was the day of his conception. Nevertheless, his life and his reign were still marked by rumor concerning his true parentage. Genetic studies performed to codify Napoleon I’s genetic heritage showed that the descendents of his brother Jerome (King of Westphalia and ancestor to the current Bonaparte line) and the descendents of his illegitimate son through his mistress the Countess Walewska bear his patrilineal genetic marker. However, Napoleon III did NOT share this patrilineal lineage, meaning he was not descended from Napoleon I’s father Carlo, and consequently not from Louis Bonaparte. Possible candidates for Napoleon III’s true father include Charles Joseph, comte de Flahaut (the illegitimate son of Talleyrand, one of Napoleon’s chief statesmen and rivals), who fathered one of Hortense’s bastards, the Duke of Morny (a prominent Second Empire politician and orchestrator of the coup that brought Napoleon III into power). To note however is that under French law at the time of Napoleon III’s birth, the husband of the wife would be the legal father of the child, regardless of true parentage, which in any case could not be proven at the time. Another possibility is that it is in fact Louis Bonaparte who was the illegitimate one, through his mother Letizia Bonaparte, and Napoleon III his trueborn son. Thanks, Mike. I had read of this DNA research, which raises the interesting possibility that Napoleon I and Napoleon III were not blood relations. I appreciate you laying out the plausible explanations and posting the links. Our father is Louis Frank Pearl born 19/02/1922 Île-de-France. Who wrote the book you reference in your notes to Candice. October the 9 2016. This story is of course of interest to me. My Business partner loves doing family tree research and uncovered all of this today for me. At this stage I don’t have a clue of what to do next other than a thought crossed my mind that perhaps my brother and I could have a DNA test maybe that would help a bit with the history of Napoleon. Thanks for providing this information about Louis Diehl, Michel. Here’s a good article on what you can and can’t learn from DNA testing: https://www.thoughtco.com/dna-family-trees-1420576. Another route would be to see if anyone in the family still has the documents that Alice Mangold refers to in her book. My grandmother was a Bonaparte and she told stories that her father was French and crossed the sea, met my grandmother and settled for a time on the island of Puerto Rico which was owned by Spain, married and had two children. The only survivor left is my aunt. We did ancestry DNA and the results confirm the story she was told where the origin of the areas in Europe were confirmed. I’m glad that the DNA testing was able to confirm your grandmother’s story, Rebecca. Michel, the book is Alice Mangold’s autobiography. How did Elenore’s age jump from 18 in 1806 to 21 in 1806? Eléonore Denuelle was born on September 13, 1787, so she was 18 in 1805, and 19 when Léon was born on December 13, 1806. This child [Léon Denuelle] and that of the beautiful Pole [Alexandre Walewski]…are with the King of Rome, the only children the Emperor had. He never had any daughters, and I think he would not have liked to have any.